Why stop at creating apps to sell luxury homes, when all built assets could have an online owner’s manual and feedback loop? Working in technology for the construction and property sectors, I have long been interested in the use of mobile tools and applications (I’m off to the latest COMIT community day in Oxford on Thursday, by the way), and the industry’s enthusiasm for apps shows no signs of abating. For example, luxury home builder Banner Homes has launched an iPad app (developed by UK midlands digital agency Adsynergy) to support property viewings. The Banner Homes MyPad app provides the 360 views, plans, digital brochures and video you’d expect in a marketing tool, but also highlights features not visible at first glance during a traditional viewing: the technologies, energy saving measures and design features behind the scenes. 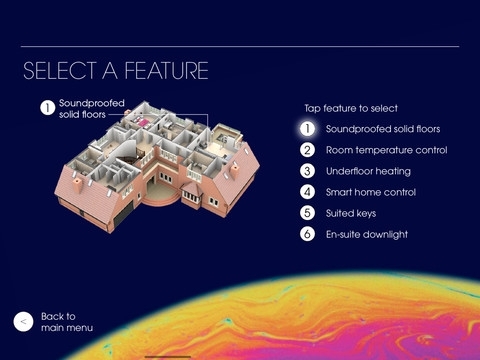 “From soundproofed solid floors and underfloor heating to room control functions, smart home control, room temperature control, suited keys and en-suite downlights, the app gives an architect’s eye view of the often concealed features that make Banner Homes properties such luxurious abodes,” gushes Adsynergy’s news release. The Banner Homes MyPad app apparently runs on wall-mounted iPads found in a selection of Banner show homes. These allow customers to navigate through some of the concealed features in the homes and see how they work. Post-purchase, I assume the app could also be used by new home owners or tenants as a manual. If so, what isn’t explained is if, or how, the app might be updated. For example, some of the embedded building control systems will include software that may be periodically updated by the vendors – will Banner Homes’ app also be updated? Banner Homes could conceivably also use the app as a customer service tool, responding quickly to any owner queries, etc, or capturing – even sharing! – user reviews and feedback (post-occupancy evaluation) so that the planning, design and construction of future Banner developments is continuously improved. There are interesting parallels between this consumer-oriented technology and the requirements of facilities managers in public and commercial buildings. Upon handover, they need a wealth of information about the operation and maintenance requirements of their built assets and the fixtures and equipment inside them. Traditionally, these were met by the handover of boxes of drawings and documents (latterly, CDs or DVDs too, or – occasionally – cloud-based digital archives), but the development of building information modelling (BIM) is creating an opportunity for future information requirements to be planned during design and construction rather than post-construction. Equipped with iPads (other tablets and smart devices are available), building owners and operators can then ‘hit the ground running’ with a working and automatically-updated facilities management system already in place, and – in an ideal world – feedback mechanisms to report building performance metrics, issues and ideas back to the people who created the asset so that they incorporate suggestions into their next projects. This is exactly what we do for hotel chains, and now we can do it for housing, retail, health centres, oil platforms. halls of residence and a host of other property types. 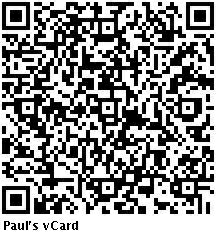 Call me if you would like to know more. Floored is a startup in NYC that appeared on TechCrunch Disrupt recently, have a look at their presentation http://www.youtube.com/watch?v=eOUh6jBAlT0 I think their product looks really exciting, I’d love to see layered as-built scans linked to BIM type models. You’d be able to peel back the finishes using augmented reality on mobile devices.